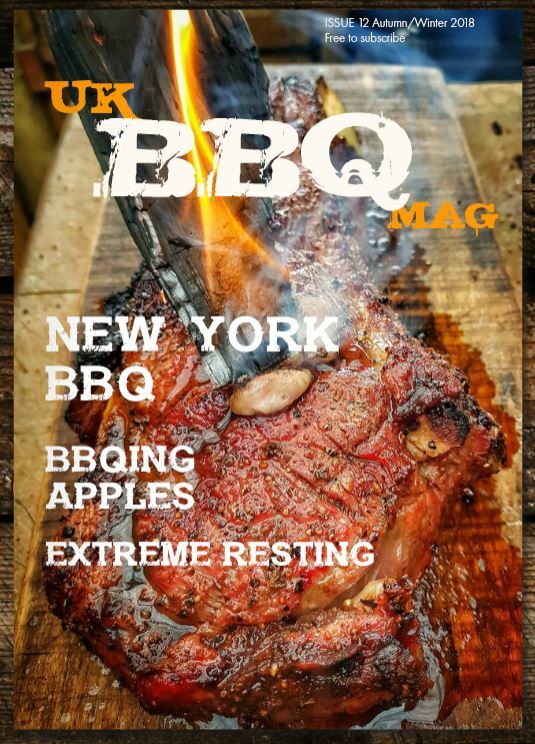 I was very kindly sent some rubs and sauces from Andrew at Smokey Davidsons, and have been having a play with them the last month or so. 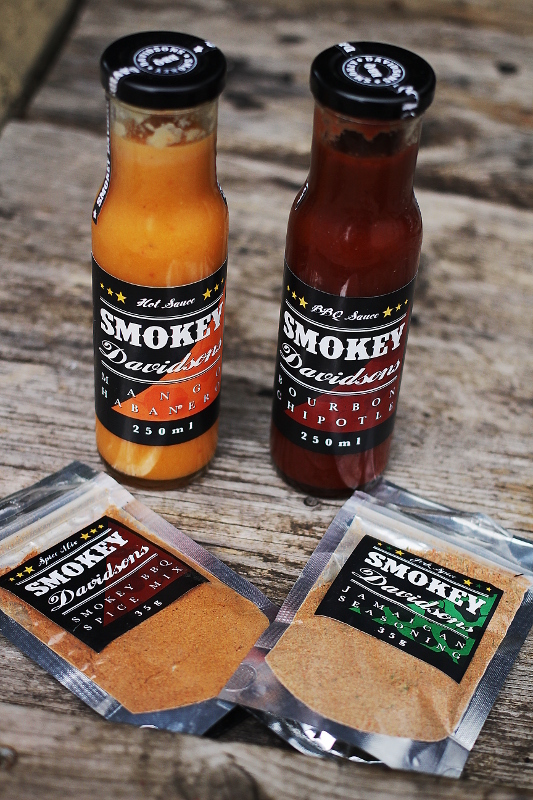 They are a Kent based producer of a range of sauces and rubs, and owner Andrew is a BBQ nut himself. The Bourbon Chipotle sauce is lovely and well balanced with a good heat, not too sweet, and not too dark, with a good smokey depth of flavour from the bourbon and chipotle (2 of my favourite things). This is a real sweetie, with a bit of a kick, the mango gives a great alternative to many sweet sauces, and goes great with Jerk chicken or grilled fish especially, have really been enjoying this one. Both rubs, the Smokey BBQ spice and Jerk Spice rub were really enjoyable too, both had quite a bit of heat, especially the jerk rub, with a good depth of flavour, both were very finely grinded so had a good balance of flavours, but I do quite like a bit of a range of textures in my rubs too sometimes too. 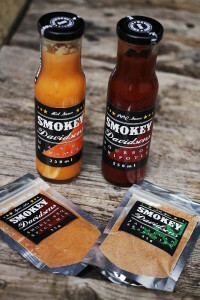 If you’re looking to try something new in the wonderful array of British rubs and sauces for your BBQ this summer, these are definitely worth a try.